All cleaners leave small traces of residue. With that knowledge, we began studying how cleaner residue alters the surface energy of the bowling ball. 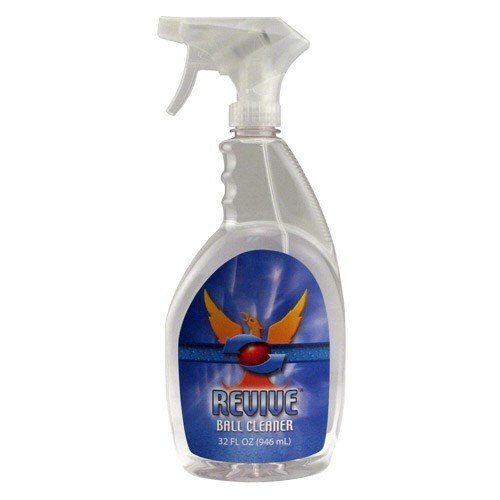 With Revive, our chemists' were able to create a cleaner that not only cleans great, but also changes the surface energy of the bowling ball. How does this help you and your bowling equipment? We found the modern bowling ball really "likes" lane conditioner; basically, it has a very strong attraction to it. When you use Kegel Revive on your bowling ball, it lowers the surface energy of the bowling ball. This lower surface energy decreases the attraction of lane conditioner to the ball's surface. This in turn, reduces the amount of conditioner that can be absorbed into the cover. Since oil attracts dirt, this also reduces dirt buildup. Best ball cleaner on the market! Love this product.Will never purchase another ball cleaner of any kind. Power house is a good product but it will never compare to Kegel. Is this appropriate for hybrid cover stock ? This will work on any type of reactive coverstock ( solid, hybrid, or pearl ) as well as urethane coverstocks. Due to the time it takes to produce the Kegel Revive Ball Cleaner Quart ball it will ship in immediately. We cannot ship this ball outside the United States.